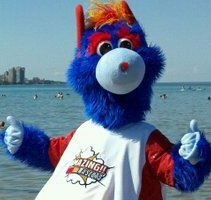 How to be a mascot | By: amazing-mascots.com , custom mascot costumes and more! Welcome to the #1 source on HOW TO BE A MASCOT! We also have the How To Be a Mascot Blog with insight on a variety of topics such as mascot design, mascot performance, and program administration. Please take a look around. If you have a question we haven’t already answered, feel free to contact us.